Hands down one of the best apartment experiences I’ve had. Staff is supportive and responsive. Facilities are second to none. Location is great and parking is ample. Great community. Super clean and quiet. Leasing office is nice and responsive. Can't wait for the summer to use the pool and grills! And the food trucks. Maren L., thank you for your kind review; we are happy to pass along your comments to our team here at The Franklin at Crossroads! Please reach out if there's anything we can do! I like our apartment community. I feel myself so comfortable here. Our guests always say that we are so lucky to live a place where is so secure, natural and, also close everywhere. Hi Erdem S., thank you so much for your positive comments about The Franklin at Crossroads! The Franklin has far surpassed all of my expectations. I have never lived in an apartment before, but have heard of all of the horror stories that other people have encountered in apartment living. Since I moved in 1.5 months ago, iI have loved every part of it and it just keeps getting better. The apartments are beautiful, the buildings and the grounds are immaculate, parking is easily accessible, the amenities are fabulous, the area is safe, it is convenient to shopping and it is very quiet. In addition, the management, people at the front desk, and maintenance are all outstanding. The wonderful functions have allowed me to meet other terrific tenants. I can't imagine living anywhere else! A big shout out to Ashley, Iman and Thomas-you are all incredible and beautiful people. We're happy you found our staff to be so supportive during your experience here at The Franklin at Crossroads. Thank you so much for your positive comments about The Franklin. We enjoy having you here! Please let us know if there's anything we can do for you! We have a 2-bedroom apartment and it has more of a “house” feel to it with the modern design they used. It’s a convenient location and the staff has been responsive while also holding a number of events for residents. If you're a young professional in the Raleigh area, The Franklin at Crossroads is a great place for your home base. It is conveniently located near (but not too near) the bustling and growing city of Raleigh, while still allowing for the peace and quiet you may want as you leave your 20s and settle into your professional career. Application went great, easily my favorite of any of the apartments I saw. And the crew was easily my favorite too, thanks guys and gals! Looking forward to move in. Thomas R., we strive for 100% satisfaction, and it is great to see you had such a positive experience at The Franklin at Crossroads. We are so excited for you to move in! Hi Michael, we are very happy to have provided you with such a positive experience! We appreciate your 5 star review about your recent experience with us! It’s seriously the best living experience I’ve ever experienced. Loving every minute of it. The prices are reasonable, and the living space is extremely nice! Josh, we strive for 100% satisfaction, and it is great to see you had such a positive experience at The Franklin at Crossroads. Please let us know if there's anything we can do for you! The office staff is very friendly! Very nice apartments, but had quite a few issues when we moved in. They addressed some of them, but won't address some others until they get worse. There has also been a lot of weed smells throughout our building and in our apartment that they refuse to do anything about. Hello Jeremy W., thank you; we appreciate your feedback! Please contact the leasing office to further help out with the issue. We look forward to speaking with you! Here is a great place to live, my only concern is that there he way to may dog waist every every where and there is a dog park but, no a children park, really people? Dog now are important that kids? Jose, thank you for your kind review; we are happy to pass along your comments to the team here at The Franklin at Crossroads! Your feedback and rating mean a lot to us. The Franklin is a Great community to live in. It’s Very quiet and always offering great resident events/parties and food truck options. The workout rooms are heaven sent. Love living here! Hi Nikeya Sophia C., thank you so much for your positive comments about The Franklin at Crossroads! Let us know if there's anything we can do for you! It’s been a pleasure living here. The amenities, the staff and residents are amazing. The units are well designed and confortable. My only complaint is that there should be a playground for the kids. Shakira C., thank you for your kind review; we are happy to pass along your comments to the team here at The Franklin at Crossroads! I am so excited to move into this apt this week. This has by far been the easiest moving experience I have ever had. Iman has been beyond incredible. She has had everything explicitly stated leaving no questions up in the air. This process has been thorough, straight forward and stress-free. I am so excited to be living here. Rebecca we are so happy that you've had such a wonderful experience so far! We are very happy to have you . Please let us know if there's anything we can do for you! amazing good nice neighborhood friendly community good amenities reliable staff..maintainence is really good very new built apartments ample parking..
Nice place to live. Great staff & facilities. At times, the apartments above are louder than expected. The property is clean and safe with well lit parking at night. Steven W., your satisfaction is our top priority. We appreciate your kind words and would love to have the chance to make this a 5 star experience. Please don't hesitate to reach out if there's anything we can do for you! Have a wonderful week! It’s been an awesome experience living here. The neighbors are so friendly.The staff is amazing. I would recommend this place to everyone I know. It’s been great. The staff are very nice and take care of your needs or issues very quickly. The apartment is very nice. The amenities are also a plus. One of the best aprtment gyms! i'm new to the franklin, so far....great! i've enjoyed the apartment and the workout facilities. i've enjoyed the location. the office personnel has been more than willing to help out. thanks! Andrek, we are so happy you are loving your apartment and all of our wonderful amenities! Please don't hesitate to reach out if there's anything we can do for you. We are always happy to help! So many improvements have been made and the staff is so friendly and easy to work with concerning any situation. This by far has been my best apartment living situation! Everything is great so far. The apartment is beautiful, as is the complex. Amenities are great as well. People just need to pick up after their pets. Hey Stephanie, thank you so much for your feedback! We are so happy that you are enjoying the amenities and loving your new home. Please let us know if there's anything we can do for you, we are always happy to help! I love the structure of the residence. Reminds me of a five star hotel. The staff is helpful and pleasant. Plus the amenities are golden lol. 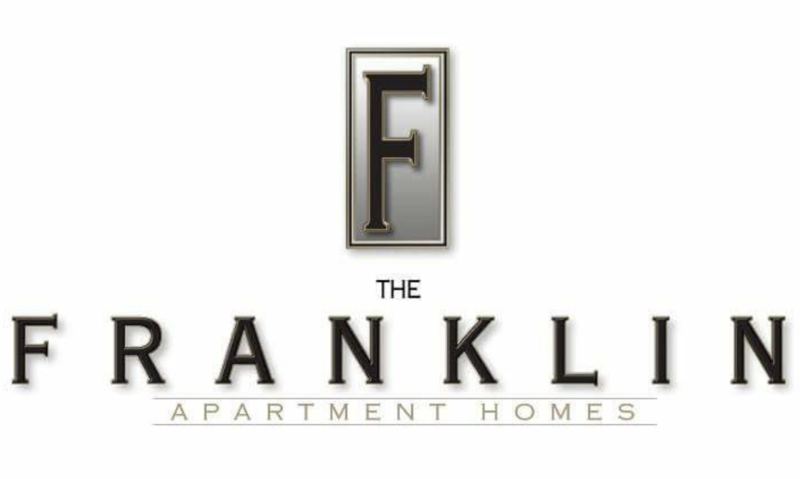 I have had a wonderful experience living at the Franklin so far. I feel like I live in a great, safe community with wonderful amenities. I also feel like the staff is amazing. They always know my name when I walk in to the office and every time I’ve had an issue or concern, they’ve gone above and beyond to help me solve it. Wonderful community and I look forward to continuing my residence here. Thank you for the awesome feedback, Hannah! We're happy to pass along your comments to the team here at The Franklin at Crossroads. Please don't hesitate to reach out if there's anything additional we can do for you. We're so glad you chose The Franklin at Crossroads as your home! Happy New Year! Hi Timothy, we're always glad to help! We appreciate your positive review about your recent experiences with us! We hope to see you again soon! This is a great place to live. It’s family and pet friendly, the staff is amazing, always cooperative and helpful. Excellent Amenities. The units are well done. I’m really happy living here, the environment is perfect.